1. A friend has died and I think I stand to inherit something - how do I find out? 2. A relative has died without leaving a will - will I inherit anything? 3. My ex has died - am I entitled to anything? 4. I am the main beneficiary of a will that doesn't name any executors - what should I do? 5. My mother has died but I can't find a will - what should I do? 6. My father left all his assets to be shared equally among the children but we can't agree on who should have what - what can we do? 7. My mother left everything to me and my brother. He wants to live in the house and I want to sell it - what happens now? 8. My father left everything to be shared between the children but his wife is still living in the house - can we get her out? 9. My sister says she is entitled to half my father's estate even though she was deliberately cut out of the will - is she right? 10. My mother left everything to charity - aren't I entitled to inherit most of what she owned? 11. My father made a new will just before he died leaving everything to his housekeeper. Can I challenge this? 12. I was a witness to my mother's will and now the lawyers are saying I can't inherit anything - are they right? 13. My friend left me his car in his will, but he didn't have a car when he died. Am I entitled to something else instead? 14. I know my mother was named in her friend's will, but my mother died a few years earlier. Am I entitled to her share? 15. My son has inherited some money but the executors say they can't hand it over until he is 18 - is that right? 16. My wife's executors say they can't give me the money I am inheriting until inheritance tax has been paid - but surely I don't have to pay any? 17. I don't trust the executors of my friend or relative's will - what can I do? 18. The executors are taking too long to give me my inheritance - what can I do? 19. Do I have to pay any tax on an inheritance? 20. I was given some money by a friend before they died - do I have to pay tax on it? If you know who the executors of the will are, ask them. For example, you might contact your late friend's solicitor. Of course, if the executors are members of your friend's family this could be rather awkward. Normally, if you are a beneficiary of a will the executors will tell you - though they do not have to. If you are concerned that the executors might be trying to hide something from you, you can get a copy of the will once probate has been granted. This happens once the executors are given official permission to deal with your late friend's estate. You can do this by applying to the Probate Registry for a standing search and paying a small fee. This ensures you are sent a copy of the will if probate is granted any time within the next six months (or has already been granted within the last year). You can renew the search after six months if you wish. If your friend left only a small amount (apart from any jointly owned property that has automatically passed to the other owner), the executors might not need to get a grant of probate. In these circumstances, a standing search would not help. You could consider taking legal action, but more significant costs would be involved. Take legal advice. If there is no will, the estate is dealt with according to the 'rules of intestacy'. These set out exactly who is entitled to what, starting with any spouse (or civil partner). 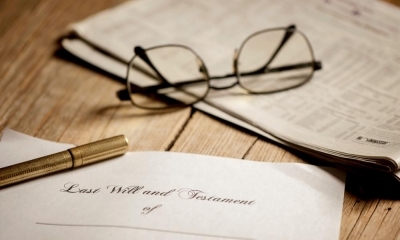 If the will leaves you something, you are entitled to that bequest just like any other beneficiary - unless the will was drawn up before you divorced. In that case, for inheritance purposes, the will is treated as if you died before your ex. This normally means that you do not receive anything. If you were not married (or in a registered civil partnership) but simply living together, this does not apply. You are entitled to any bequest in the will. Whether you have remarried (or registered a new civil partnership) in which case you cannot claim. How old you are and whether you have any children. What was agreed at the time of the split, for example, whether you agreed a 'clean-break' settlement. If you think you may have a valid claim, take legal advice. Need legal help with claiming an inheritance? You can apply to the Probate Registry for a 'grant of letters of administration (with will annexed)' or ask a solicitor to do this on your behalf. This gives you the authority to deal with the estate - collecting in all the deceased's assets, paying off any debts and tax liabilities and ultimately distributing the assets to yourself and any other beneficiaries. Search the house and any paperwork. Contact any solicitors or other professional advisers you know your mother used. Consider searching the National Will Register (fee required), which may provide a record if a solicitor holds her will. Ask her bank in case they have the will. Consider searching at the Probate Registry in case they have the will in safe-keeping. Ask any other family or friends who you think might know. If you still can't find a will, you may need to assume that it doesn't exist and that your mother died 'intestate'. If so, you can apply to the Probate Registry for a 'grant of letters of administration' or ask your solicitor to do this on your behalf. This gives you the authority to deal with the estate - collecting up all your late mother's assets, paying off any debts and tax liabilities and ultimately distributing the assets according to the rules of intestacy. 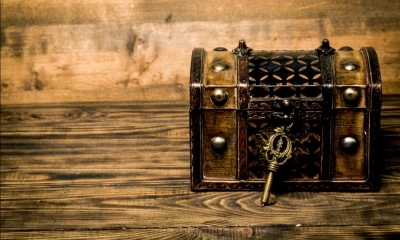 Money and readily sold financial assets such as shares and other investments are generally easy to share out, so problems normally only arise over tangible assets like jewellery, paintings and so on - particularly if these have sentimental value. It can help to have everything valued (some items may already have been valued as part of the process of working out any inheritance tax payable). After all, there is little point arguing over who gets something if it isn't worth more to you than it could be sold for. You might then be able to work out a system for sharing the other items out. For example, you might take it in turns to each pick something you want or you could 'auction' the items among yourselves, with the winning bidder for each item agreeing to accept a proportionately smaller share of any cash. Bear in mind that it is up to the executors or administrators to ensure that you each get what you are entitled to under the terms of the will. If this is someone other than the children yourselves, make sure you let them know what you would like to do. If the estate also has significant other assets, there would be no problem. Your brother could keep the house while you receive a corresponding share of the remaining assets. Alternatively your brother could buy you out using his own funds or a mortgage. Assuming this is not the case, it is clearly unreasonable for your brother to expect to have more than his 'fair share' of the estate. If he will not accept this, you could consider legal action - though depending on the circumstances, this could be expensive and time-consuming. Unless your brother is totally unreasonable, a better solution might be to consider mediation, where an independent expert helps the two of you to reach an agreement. Take legal advice. This depends on various factors. The first question is what the will says. It would be quite unusual for a husband to leave nothing to his wife (unless they were estranged, in which case she presumably would not be living in the house). More commonly, the wife is left a life interest in some or all of the assets. This might give her the right to live in the house and receive the income from any investments. The house and other assets would only pass to the children once the wife has died. The second question is who actually owns the house. If your father and his wife owned it as 'joint tenants' ownership automatically passes to the wife (regardless of what the will says). Your father's share of the house only forms part of his estate if it was owned as 'tenants in common'. Even if your father was the sole registered owner of the house, his wife may well have some rights to claim an interest in the property, for example, if she contributed financially towards it. And regardless of all this, your late father's wife will normally be entitled to make a claim against his estate if she wishes to. Bearing all this in mind, the best solution is likely to be a negotiated settlement. Even if you are able to take legal action to evict her, this might well poison the atmosphere - making any negotiations more difficult (and expensive). You should take legal advice. It's unlikely. Your sister might be able to challenge your father's will, for example, if she can claim that it was made under undue influence or that he didn't understand what he was doing. Failing that, she may be able to make a claim if she was financially dependent on your father or is in financial need. Depending on the circumstances, the best solution for you may be to negotiate an agreement where your sister does receive something - though this is likely to be significantly less than half the estate. Take legal advice. You aren't automatically entitled to inherit from your parent's estate. You can challenge the will if you think your mother didn't understand what she was doing or acted under undue influence. Alternatively, if you are in financial need or were financially dependent on your mother, you may be able to make a claim against her estate. The best approach may be to approach the charity that stands to inherit (through your solicitor) and try to negotiate an agreement. Take legal advice. If the will was made just before he died, you might be able to challenge the will on the basis that your father was acting under undue influence or was unaware of what he was doing. Failing that, you may be able to make a claim against the estate if you were financially dependent on your father or are in financial need. Unfortunately the lawyers are correct. A witness to a will cannot benefit from it, though the rest of the will remains valid. You may, however, be able to make a claim against the estate if you were financially dependent on your mother or are in financial need. Unfortunately, unless the wording of the will says so (eg specifying an alternative gift) you are not entitled to anything else. Unfortunately, unless the will says otherwise, the gift to your mother 'lapsed' when she died and you are not entitled to anything. Typically, gifts made to a minor are held in trust until the child reaches the age of 18 (though the will can specify an older age). That means that the trustees (often the executors of the will) look after the inheritance until then. The will may also state how the income and capital can be used in the meantime. For example, it is not uncommon for the trustees to be able to use the income and up to half the capital for the benefit of the child, for example, paying for schooling. You should ask the executors to let you see a copy of the will. If they do not provide one, you should be able to get a copy from the Probate Registry. If you aren't happy that the executors are acting properly, take legal advice. You are right that inheritance tax is not payable on any inheritance you receive from your late wife. However, that does not necessarily mean that you can be given your inheritance straight away. The executors are responsible for ensuring that any debts or other liabilities including any inheritance tax owed by your late wife's estate are paid. If they start distributing inheritances - to you or to other beneficiaries - before doing this, they could end up with outstanding bills that they have to pay out of their own pockets. Executors can therefore be understandably unwilling to start any distribution until they are sure what the position is. If you think the executors are being unreasonably slow - and particularly if more than a year has elapsed - you should take legal advice. You can apply to the court to have an executor removed, although you would need to be able to provide evidence of serious misconduct (eg proof that the executor has been stealing from the estate). The first step is to write to the executors expressing your concerns and asking them to explain themselves. Sending a letter through your solicitor may be enough to prompt the executors to act properly. In any case, if you have serious concerns you should take legal advice. Normally, any inheritance tax due is paid by the executors before they distribute any legacies to the beneficiaries of a will. So you will not normally pay the tax yourself - but inheritance tax may already have been deducted from an inheritance that you receive. For example, suppose a friend dies leaving a house worth £500,000 and a further £500,000 in savings - a total estate worth £1m - with you as the sole beneficiary. Inheritance tax is payable on the excess over the inheritance tax threshold (currently £325,000) at 40%. So total tax of £270,000 is payable. The executors will pay the tax and give you the house and the remaining £230,000 of savings. But suppose instead that the estate is simply a £1m house, with no savings. If so, there is not enough cash to pay the inheritance tax bill. If you want to keep the house, you will need to find the money elsewhere. Note that you do not have to pay inheritance tax on any inheritance from your spouse or registered civil partner, even if your inheritance is worth more than the inheritance tax threshold. Inheritance tax can be payable on gifts made by someone during the seven years prior to death. Inheritance tax will only be payable if the total value of the estate (including any gifts made during the seven years prior to death) is more than the inheritance tax threshold (currently £325,000). Even then, any inheritance tax due is normally paid by their executors out of the assets left in their estate. But if there is not enough to pay all the inheritance tax due, you could become liable. With over 1,000 barristers across England and Wales, we can find you the perfect barrister for your budget at short notice. Clerksroom Direct work with over 1,000 barristers across England and Wales to ensure you get the best possible advice or legal representation for your situation. 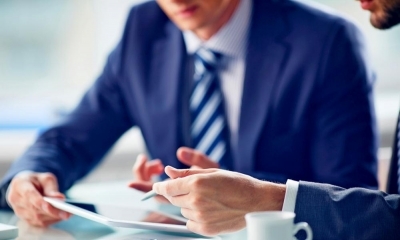 We can often find you the right expert barrister for your case within just 2 hours.